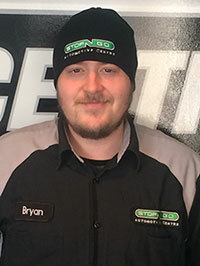 Bryan was born and raised in Burlington Ontario, attending Burlington Central High school. 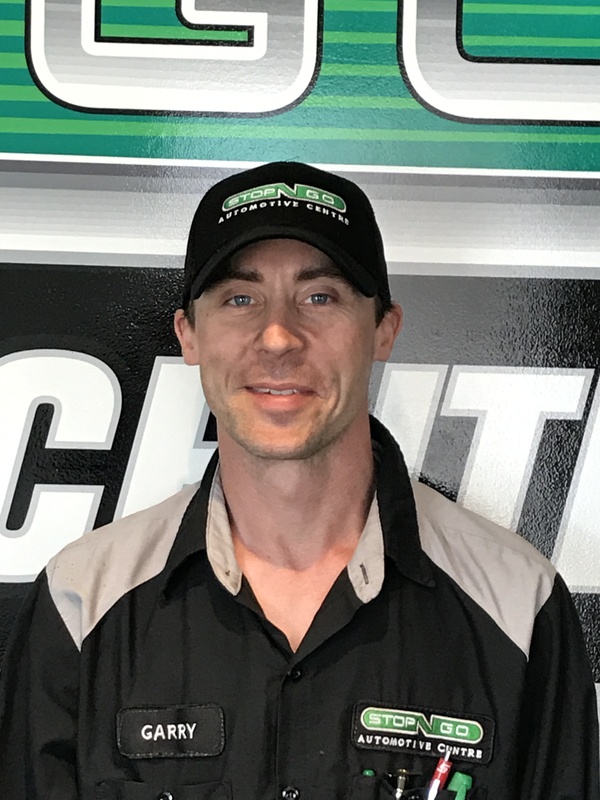 He joined Stop N’ Go in 2013 as an automotive detailing specialist. Bryan loves seeing the reaction people have when they get their car back looking like new. His interests include acting and stand-up comedy, and he is also an avid movie buff—Bryan can quote countless movies, which is a good thing since he loves to make people laugh. Mike was born in Milton and attended high school at Waterdown district high school. He worked as an automotive apprentice though the Ontario Youth Apprentice program. 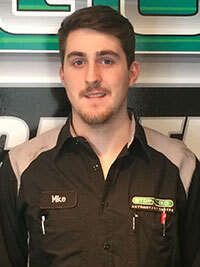 Mike joined Stop N Go in 2015. Mike has always enjoyed working on cars and hopes to one day work on his dream car: a 2016 Subaru BRZ. In his free time mike loves playing sports with his friends, video games, and spending time with his family. Shane was born and raised in Grimsby and attended Grimsby Secondary school. 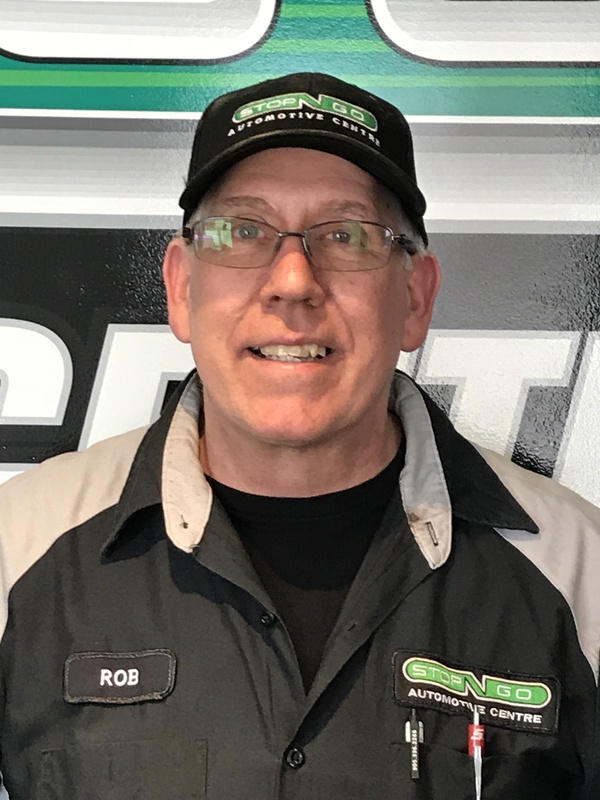 It may have been his 1988 Mustang Cobra, or his 1985 Monte Carlo SS that started his passion for automotive repairs, but after attending Niagara College, he became a licensed technician in 2007. 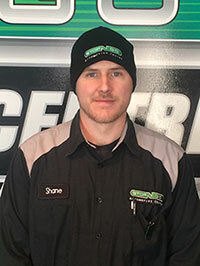 Shane Joined Stop N Go in 2011 and is a diagnostic expert. In his spare time he can be found besting his lap times at the Cayuga Race track in his custom built Honda CRX and spending time with his wife Crystal. Don was born in Port Credit and attended High school at Blakelock Secondary School. His career in the automotive industry started in 1980 as a technician for Petro Canada. Don joined stop N Go in 2016. 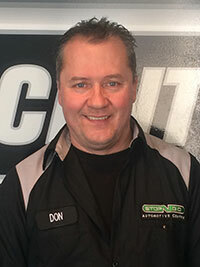 In his spare time Don loves to spend time with his dog Bristol, working on his 1968 Chevy Nova, or competing in Nascar simulation with racing enthusiasts from across North America. Matt was born in Mississauga and raised in Oakville where he attended Holy Trinity High School. He graduated from the University of Toronto and Sheridan College before moving to Alberta to work in the Hospitality Industry and as a Journalist for Banff Park Radio. 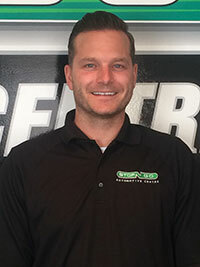 Matt joined Stop N Go in 2015. In his spare time you can find him on the golf course, playing guitar or enjoying a good book. Todd was born and raised in Burlington where he attended Notre Dame High School. Todd developed an interest in vehicles and just about anything hands on at a very early age. With that interest Todd then went on to trades school at Mohawk collage and further advanced his automotive knowledge. 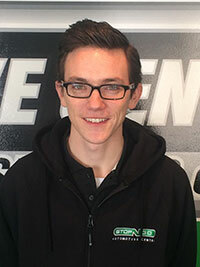 Todd then joined the Stop N GO team in 2004 as a trusted service advisor and now service manager. In his spare time Todd can be found dirt biking, skateboarding, swimming, playing hockey or just about any activity involving his 3 children Hayden, Landen , Madden and His wife Ashley. Candace was born in Oakville and raised in Burlington. She grew up with an interest in cars that was passed down from her dad and began her career in the automotive industry as soon as she was able to drive. 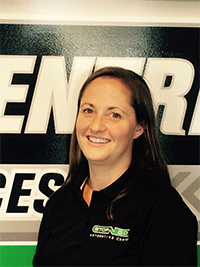 She is a new addition to the team and brings nearly 20 years of experience to Stop N Go Services. In her spare time you can find her hiking, biking, camping and enjoying the outdoors with her husband Sean and daughter Isla. Garry was born in Hamilton, Ontario and attended Orchard Park High School. He has a passion for machines and problem solving, which led to his first job as an automotive technician. Gary can fix just about anything, from cars to farm equipment, and he always enjoys a challenge. When he isn't working, you can find Garry on his farm caring for his horses or spending time with his 3 children and his wife Cindy. Rob was born in London, Ontario and attended Peel secondary school. He started his career at 14 years old, borne out of a love for all things mechanical. His teachers must have known he had a gift when, after taking a class for automotive electronics, he was asked to come back to teach the course! Rob is a 40 year veteran of the trade who has a wealth of technical knowledge and experience. Rob is also an accomplished mountain bike rider, and you can usually find him flying through one of the many trails throughout southern Ontario.